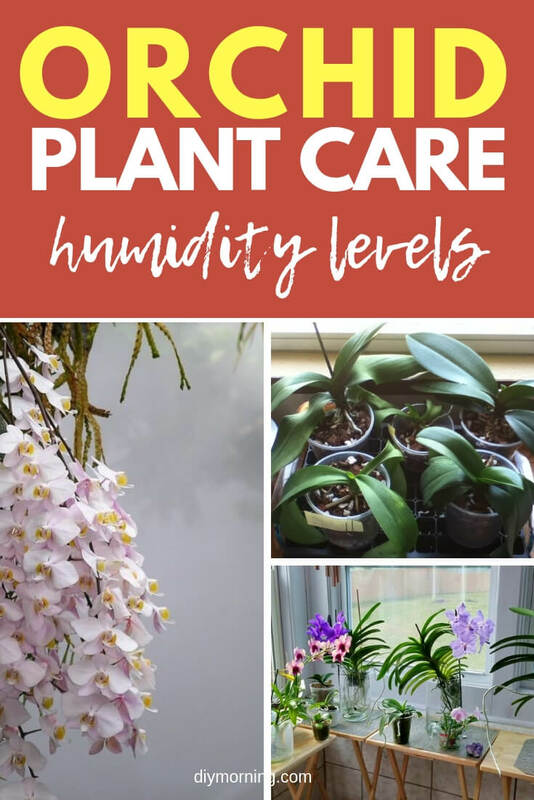 The specific humidity level an orchid needs depends on the type of plant, but here are general guidelines to optimize the health of your plant and coax it to flower. Humidity is the amount of water vapor in the atmosphere. With respect to plants, this pertains to the water held in the air and soil surrounding the plant. The level of humidity is often referred to using the term “relative humidity,” a percentage representing the amount of water vapor in the air, compared to the amount the air could hold if it was totally saturated (100%). When the relative humidity reaches 100%, the air cannot absorb any more water. Since most orchids originated in tropical regions, a high level of humidity is required for the plants to thrive. In tropical areas, relative humidity often reaches 80 – 100%. For plants grown by the orchid hobbyist, a sufficient daytime humidity is 50% to 70%. Keep in mind that the average home environment has a relative humidity of only about 30 to 40%, and in a heated home with drapes and carpets sucking up moisture, the humidity can be negligible, as low as 5%. This is far below orchid humidity level required for the plants to thrive. 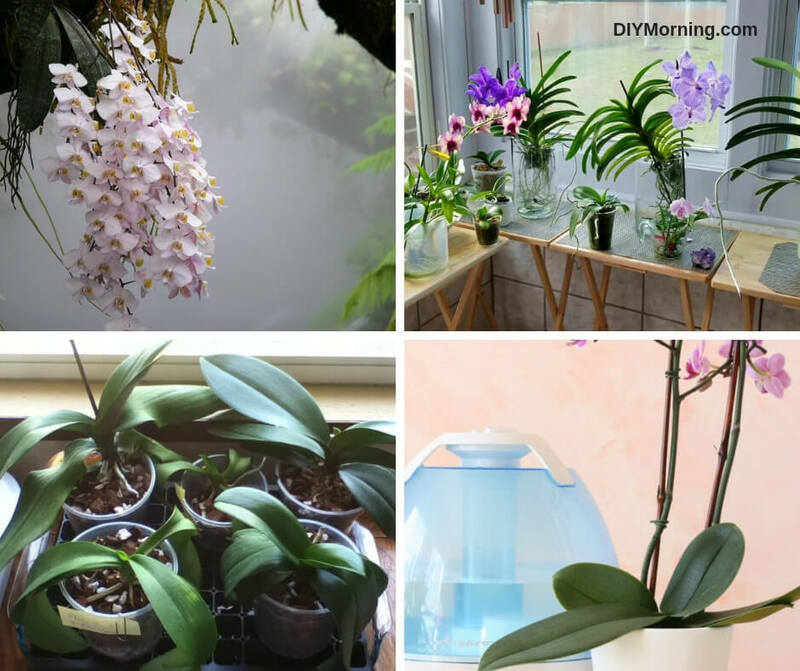 However, there are a number of simple, low-cost ways that you can supplement the humidity surrounding your orchids. 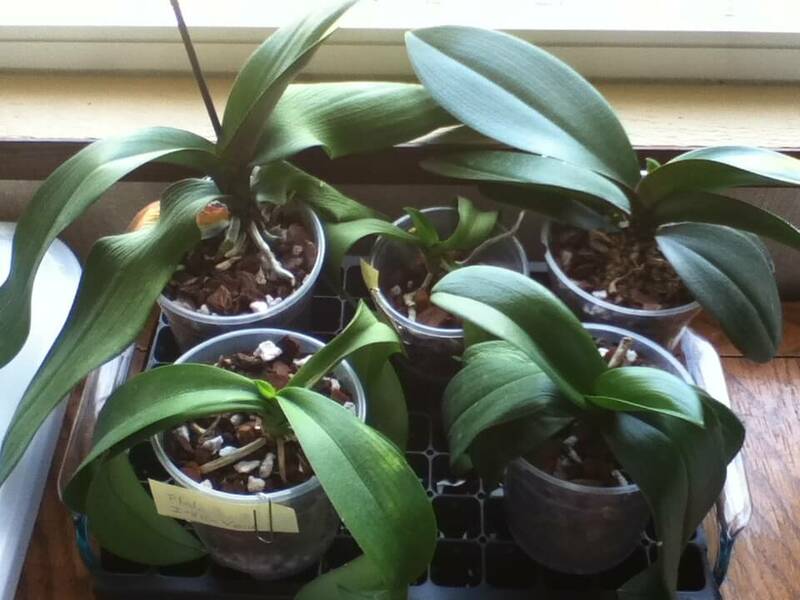 During the summer, it is not difficult to supply orchids with the required level of humidity. In winter, or in dry, hot climates, humidity can be supplemented by placing plants in a shallow dish or tray containing pebbles and water. The evaporating water will create a humid microclimate near the plants that will help the plants thrive even if the humidity in the rest of the home is not sufficient. Make sure that the water never touches the bottom of the orchid pot. Capillary action will draw water up into the growing medium within the pot, and expose the roots to too much water, leading to root rot and ultimately a dead orchid. Clean the pebbles at least every 3 months, using a dilute bleach solution to remove the bacteria, algae and accumulated salts. 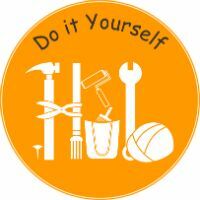 Be sure to rinse the stones thoroughly after cleaning them. Placing orchids near each other can create a humid microclimate. You can place several orchids on a large evaporation tray or just place the plants near each other, each on its own small evaporation tray. However, since air circulation is vital to orchid health, be sure not to place the plants so close together that air cannot easily circulate through them. Humidity can also be increased by spraying or misting your orchids with water, but avoid spraying plants in the late afternoon or evening. The cooler temperatures of evening can lead to condensation that may lead to rotting and disease. Misting in the morning or early afternoon allows enough time for the water to evaporate and keeps the plants healthier. 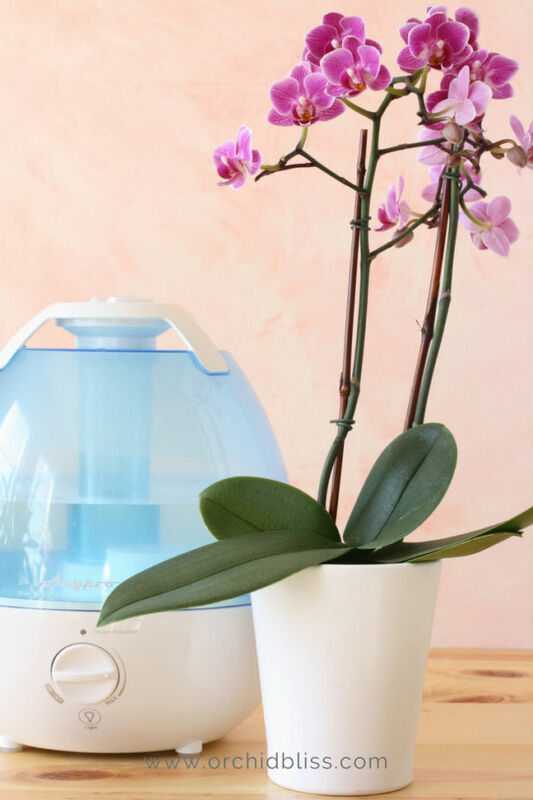 Air circulation is absolutely vital to orchid health. In very humid environments, the air can become stagnant, so be sure to have air moving around your orchids. This can be accomplished by placing a fan near your orchids or having a ceiling fan in the same room. Any plant is more likely to thrive when the conditions of its natural environment are duplicated as closely as possible. This is certainly true of orchids, which have specific needs for light, temperature, air movement, growing medium and water.